As a roofing contractor in Lawrenceburg, KY our promise is to provide quality service and perform our work with true craftsmanship. As professionals in our industry we stay up to date on the latest installation methods to ensure your project is crafted to perfection. We also are committed to continuing education that keeps us abreast of the best roofing materials to use for your home. Need more than just roofing? We’re not just a roofing contractor. We offer services for siding, gutter repair and installations, window maintenance and a variety of other home improvement projects. From the small roof repairs to the largest of projects, you can count on us for quality roofing services. Providing roof repair in Lawrenceburg. 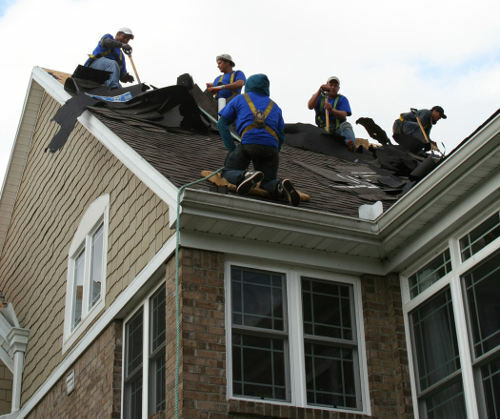 The following are a list of services we offer as roofers in Lawrenceburg. As with all of the work we perform, quality is guaranteed. We take every step of your roofing project seriously. Upon our initial diagnosis of your roof, we make sure not to overlook the small details that make the biggest difference in quality. Here is some information about the small details that we pay special attention to. 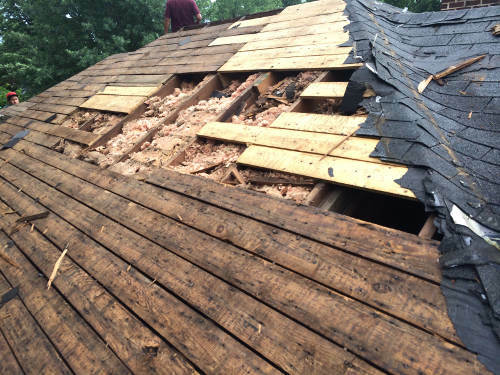 This is the wooden material that basically is the foundation of your roof. We thoroughly inspect this to determine if replacement is required. Some warning signs of it needing to be replaced may include: warping, water damage and cracking. This is wood decking on a roof that is in need of repair. This material is used in most cases around items such as chimneys, ventilation outlets, joints and walls. It is used to prevent water and moisture from penetrating and causing damage. We make sure the flashing material is installed correctly and properly secured. This is an image of flashing around a chimney. We did not install this, but it’s an example of needing to be repaired. Each roof is designed with some form of vents which allow the air to flow through your attic. 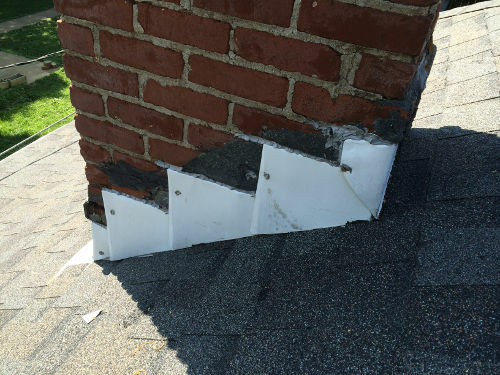 There are many types of roofing vents, but in general the most preferred method is a ridge vent. We often find that most existing homes have standard vents or otherwise known as turtle or box vents. To ensure your home has maximum efficiency, we install ridge vents as our preferred choice. This allows for the best method of airflow and most homeowners feel it’s more visually appealing for adding better curb appeal. 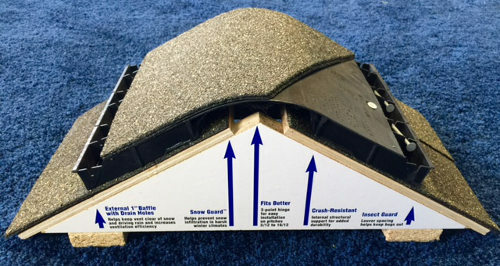 This is an example of a ridge vent for your roof. It’s designed to offer maximum air circulation in your attic. You can expect that every roofing material and product we use on your home is designed and installed correctly. 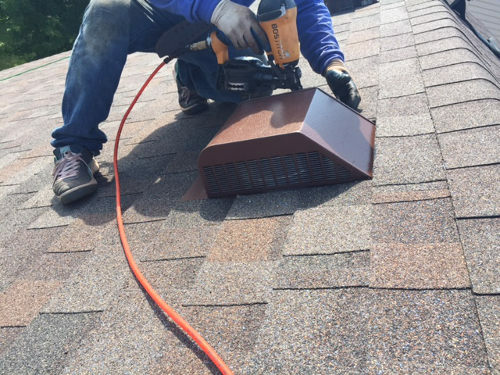 We use the highest quality shingles manufactured by Owens Corning along with industry leading materials to ensure you receive a quality roof. It’s our commitment as a roofing company in Lawrenceburg, KY to deliver the best experience for our clients possible. We realize you put your faith in us to provide the best workmanship, so our promise is to provide it. You can also expect a personalized experience with us. We provide an onsite quality control manager who stops in to oversee the installation. For an owner who is eagerly involved, you’ll feel the difference with our team. When it comes to choosing the best roofers in Lawrenceburg, we want you to choose us! Contact us for the best service in Kentucky!